Carrownagappul Bog SAC, just outside Mountbellew, is one of the biggest raised bogs in Ireland and one of the best examples of a raised bog West of the River Shannon. At almost 325 hectares, it is the second biggest Living Bog project site, and thanks to its condition (plenty of raised bog and unique flora and fauna), its folklore and its location Carrownagappul has the potential to become one of Ireland’s foremost bogs to visit. 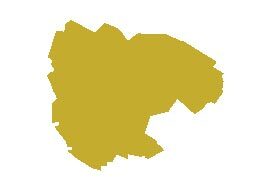 The bog contains one of the largest extant areas of uncut high bog surface in all of Galway. It is also the most negotiable bog in all of Galway, traversed by a road and track network and thanks to areas like the historic Patches Garden right at the heart of the bog, it is a peatlands amenity with huge potential. Every single aspect of the Irish peatlands story is contained within its SAC boundary, and with a history going back over 9,000 years, it is a bog with a great story to tell! Restoration work here will take its time, as there are numerous open drains and almost 25kms of drains will need to be blocked by The Living Bog team on the high bog alone. Early estimated indicated that almost 4,000 peat dams and 200 other dams will be required to encourage active raised bog growth on the high bog. Numerous bog roads, tracks and drains extend into the centre of the site. Until very recent years, peat extraction occurred frequently along the margins of the site and along the bog roads. 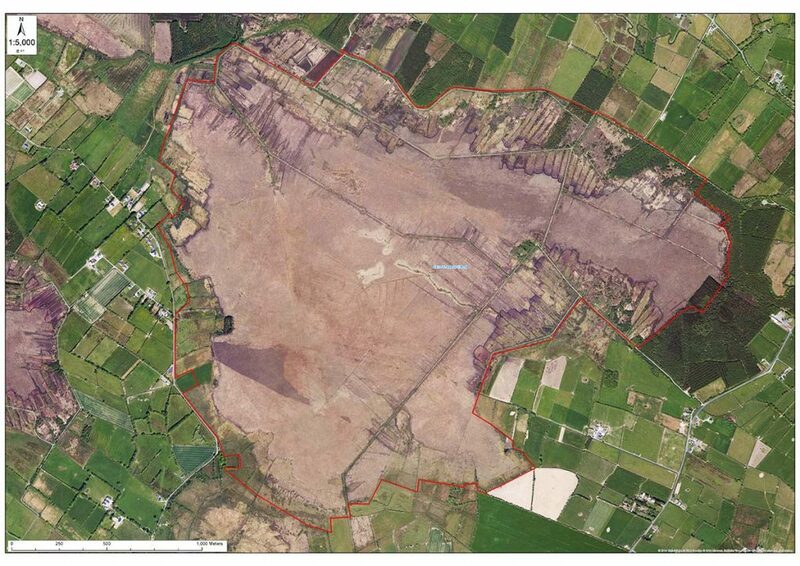 From surveys over the years it was established that some very low relief eskers run under the bogs. A till island lies in the centre of the site and this is not covered by peat. This bog is a candidate Special Area of Conservation (cSAC) selected for Active Raised Bogs 7110, Degraded Raised Bog 7120 and Depressions on peat substrates (Rhynchosporion) 7150 – habitats that are listed on Annex I of the EU Habitats Directive (992/43/EEC), where Active Raised Bogs 7110 is further ranked as a “priority” habitat. The Living Bog team have been surveying the bog since the project was established in 2016, and the results will be published here in due course. Already, some figures are above those from previous surveys. 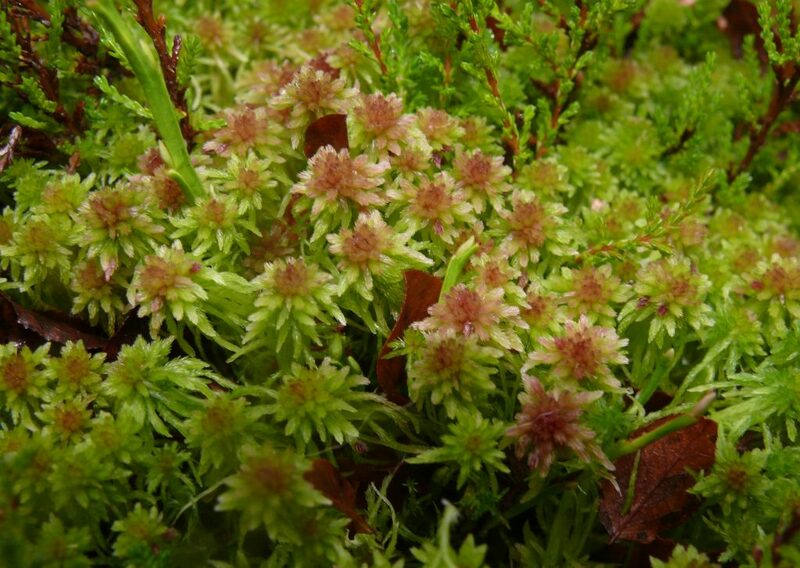 Total Sphagnum cover is in the range of 76-90%. Degraded Raised Bog covers 295.41ha (91.32%) of the high bog area. It is drier than Active Raised Bog and supports a lower density of Sphagnum mosses, although Sphagnum cover is in the range of 30- 40% in the wettest of the sub-marginal community complexes recorded, and between 26-33% in some of the other wetter complexes. Degraded Raised Bog has a less developed micro-topography, and permanent pools and Sphagnum lawns are generally absent. Restoration works, in the form of drain blocking on the high bog, have taken place at the site, but the high bog is extensively drained and the greater part of the drainage network remains unblocked. Several drains in the southern section of the high bog have been dammed, and the positive effects of this action have been recorded in the last survey, with Fernando reporting a 9.87ha increase in Active Raised Bog habitats, at the expense of former sub-marginal ecotope. These improvements were recorded over a substantial part of the southern section of the bog.